One of my grand-daughters, Sadie (who is 5, almost 6) has geocached with us a few times and has recently asked to go again. She chose the name HoneyRobbInn as her ‘handle’ because she was eating porridge at our house one morning and I was trying to tie her long hair back to stop it getting sticky as she seemed to be getting the honey everywhere. Hence the name. I am sure there must be some good stories around as to why we choose our Geocaching names – perhaps a good blog for another day. Sadie’s mummy is from New Zealand so she is a half kiwi with Grandma Jacks and Grandad Brent living in Christchurch, and Auntie Barb in Auckland. I had a Ladybird Travel Bug which I had yet to release ‘into the wild’ and Sadie liked it so much that we decided to set its mission to reach New Zealand where either Grandma Jacks and Grandad Brent or Auntie Barb could retrieve it should it fly that far. South Island or North Island was covered! Sadie was fascinated as we explained that we would leave the Travel Bug in a cache and hopefully another cacher would retrieve it and move it on. We did think Sadie might like to find a cache with us, perhaps in her school holidays, but she wanted the Ladybird released as soon as possible so we took it to the Isle of Wight the very next day to see if we could find a nice home for it. Looking on the map we spotted what we hoped was the perfect place for the Ladybird – Bembridge Fort which is a fort built on Bembridge Down close to the village of Bembridge on the Isle of Wight. It is one of the many Palmerston Forts built on the island to protect it in response to a perceived French invasion. Construction of the fort began in May 1862 and was completed by July 1867 at a cost of £48,925. 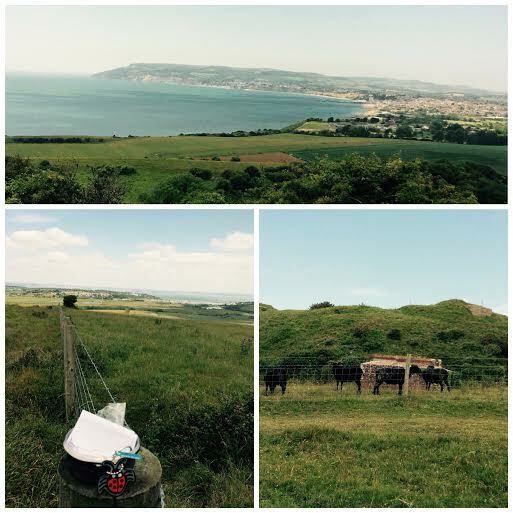 The good thing about this cache was that it was within walking distance from us and it has the most marvellous views. We thought what a fitting start for Sadie’s Ladybird TB. The container was easy to find with the only muggles around in the shape of black sheep; perhaps this was prophetic in a way: sheep/New Zealand ??? What fantastic views our Ladybird had. Sandown Bay to the left; the Solent and the mainland to the right and just a few sheep grazing on Bembridge Fort. We left the travel bug on Friday, 19th June and were delighted to receive a note on 21st June that The Mad Dog had retrieved the bug and “Either a trip to Wales or Waitrose awaits!”. We are eagerly waiting to see where it gets dropped off. Whether or not HoneyRobbinn’s Ladybird Travel Bug will ever reach New Zealand is debatable but we will enjoy watching its journey. This entry was posted in Bembridge, Bembridge Fort, Geocaching, Isle of Wight, Sandown, Travel Bug and tagged Bembridge Fort, Geocaching, Isle of Wight, New Zealand, Sandown, Travel Bug. Bookmark the permalink. 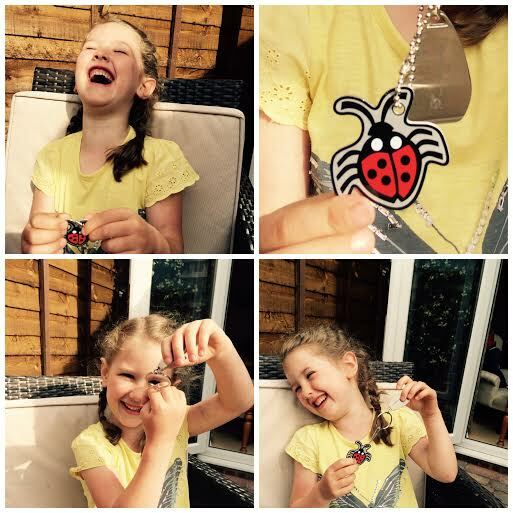 2 Responses to Ladybird, Ladybird Fly Away Home….. It will be interesting to hear how far Ladybird goes, I hope it reaches New Zealand.